Although originally conceived as an original Netflix miniseries with six chapters about the American border, it was later announced that the project had been modified to become a full-length film maintaining the structure of six chapters. 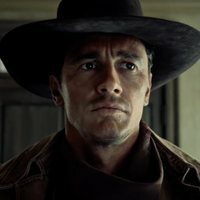 Directed by Joel and Ethan Coen, 'The Ballad of Buster Scruggs' is a western anthology following six different storylines centering on a man named Buster Scruggs. The film won the Best Screenplay award at the 75th Venice Film Festival. 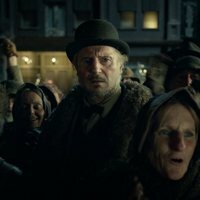 Tim Blake Nelson, Willie Watson, James Franco, Liam Neeson, Zoe Kazan, Tom Waits, Harry Melling, Bill Heck, Saul Rubinek, Grainger Hines, Tyne Daly, Jonjo O'Neill and Brendan Gleeson, among others, complete the ensemble cast of the film. 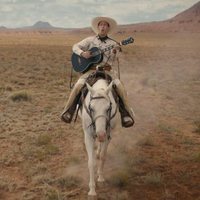 Write your own 'The Ballad of Buster Scruggs' review. This will mark Joel and Ethan Coen's first project written and directed for television. The first project by the Coen brothers to be shot digitally. At 132 minutes, this is the longest film directed by the Coen Brothers.